Hear that hissing noise? It’s the Steam effect, invisible to the naked eye but for the dramatic improvement in fortunes of the games in its wake. Take ArmA II mod and human depravity sim DayZ, which since the discounting of its parent game during the Steam Summer Sale has flown past a total of 800,000 unique players. 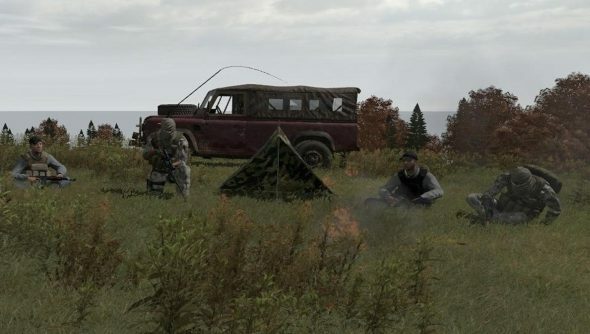 DayZ mod creator Dean ‘Rocket’ Hall has a standalone version of the game planned for release before Christmas. Beans indeed.